Why not just go shoot your film? Well, you could do that. But you’ll be saving yourself a LOT of blood, sweat, tears, friendships, and money if you think about what you’re doing first. 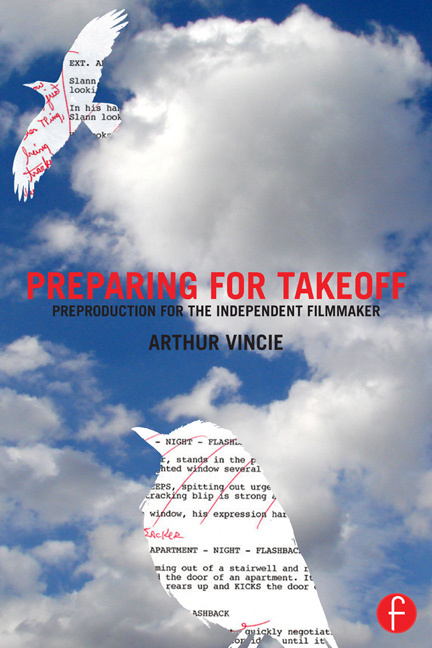 Preparing For Takeoff covers the process of preproduction for both the director and producer, and is especially aimed at the independent filmmaker (who often has to wear both hats whether she wants to or not). Based on the author’s own experiences as a New York City-based production manager, line producer, and director, this book will help you map out your film’s journey ahead of time, so you can really focus on what’s important during and after the shoot. Email us for information on bulk/educational discounts. © 2015 Preparing For Takeoff | Email Us | Site built by Chaotic Sequence, Inc.